From the early morning hours to the final moments before going to bed we are all tasting the zest of LIFE. Yes, taste is one of the five senses, which gives us ability to detect the flavor of ... everything. Have you ever thought what life would be like without taste? Such a question always comes to mind when I am sick and have no senses. Thereon, the right question is: when I feel well, do I pay attention to the taste and texture of the food I am eating? You probably see where I am going with this. "Mindful eating involves paying full attention to the experience of eating and drinking, both inside and outside the body. We pay attention to the colors, smells, textures, flavors, temperatures, and even the sounds (crunch!) of our food. We pay attention to the experience of the body." Jan Ch. Bays, M.D. in Mindful Eating. Honestly, I can't always do that and it's not always so simple. 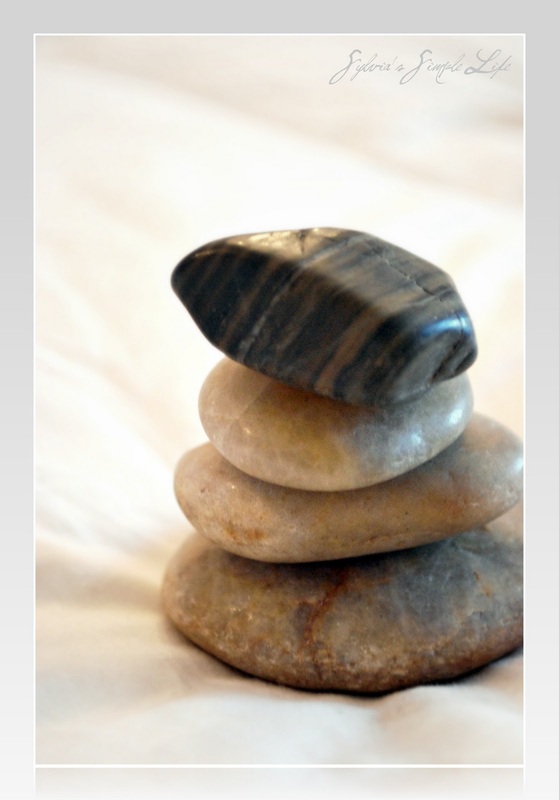 However, after reading Donald Altman's One Minute Mindfulness, I found that there is some really simple, miniature step that I was willing to incorporate in my everyday life. Make the first taste of the day count and the last taste of the day special. I know, it may sound awkward, but believe me, it is easy, and makes a difference in experiencing life. When the alarm clock rings and I open my eyes in the morning, I think about this "first morning taste", I really do. Not necessarily a pleasant one, but it gives me sense of presence and aliveness. It also helps me to slow down and not rush into the hustle of the kitchen and the day. bearing the beginning of a new experience. I remember this taste and whenever I need a second of peace and gladness, I think about it. The last taste is an opportunity to acknowledge your fullness and satisfaction. It can signify finding balance. Don't take the last taste for granted. End your day by eating consciously and skillfully. 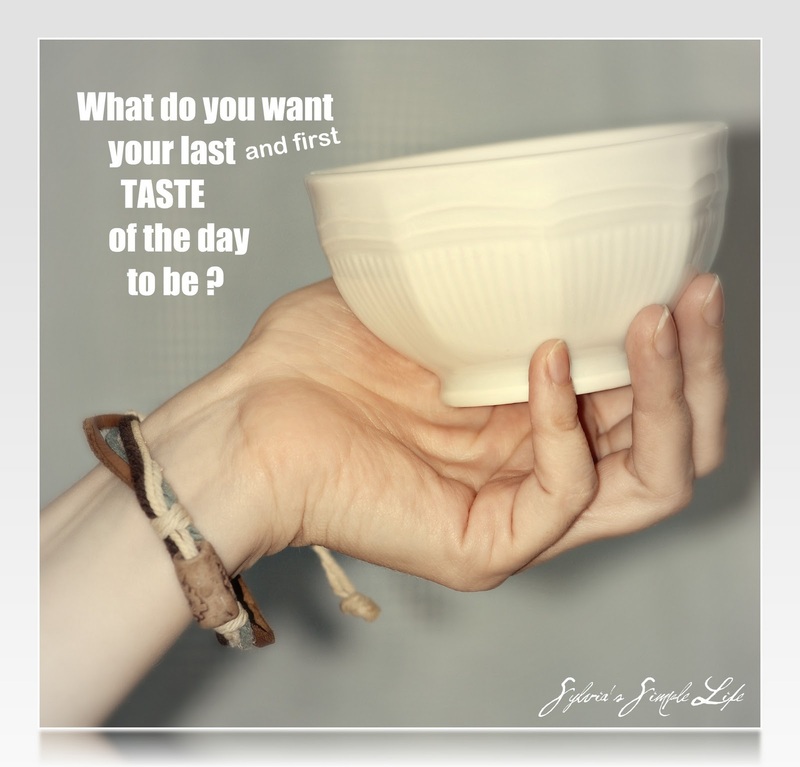 What do you want your last taste of the day to be? A soothing cup of aromatic tea? A glass of chilled water?" It has become kind of a ritual for me to prepare something delicious before going to bed. 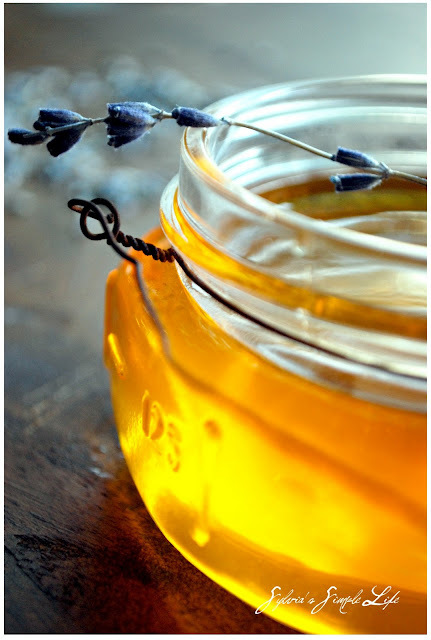 The recipe is more than simple and I suggest to give it a try. As you know lavender soothes the body and mind and makes it the perfect ingredient for a bedtime drink. 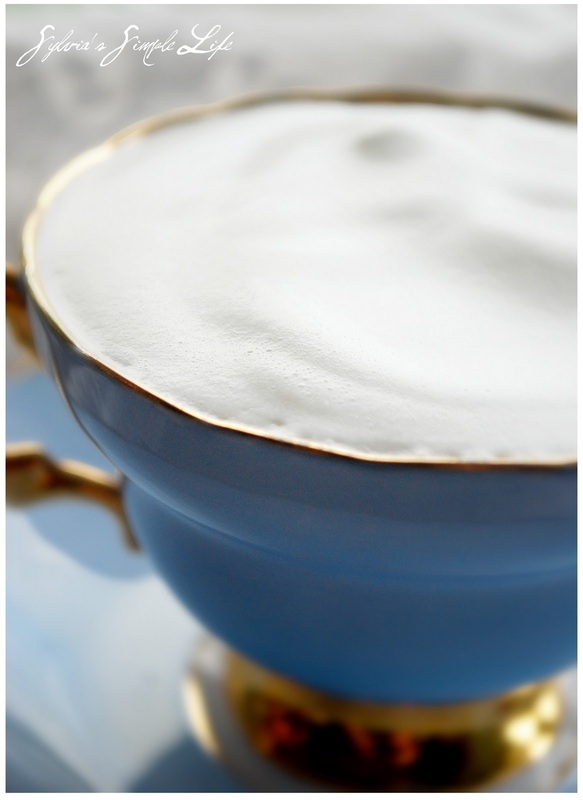 This lavender milk leaves a sense of a delicate taste with a little spicy kick... not bad for the end for the day. Put the milk, lavender, and honey in a saucepan and heat it gently until the milk just reaches boiling point. Remove from the heat and let it infuse for 10 min. 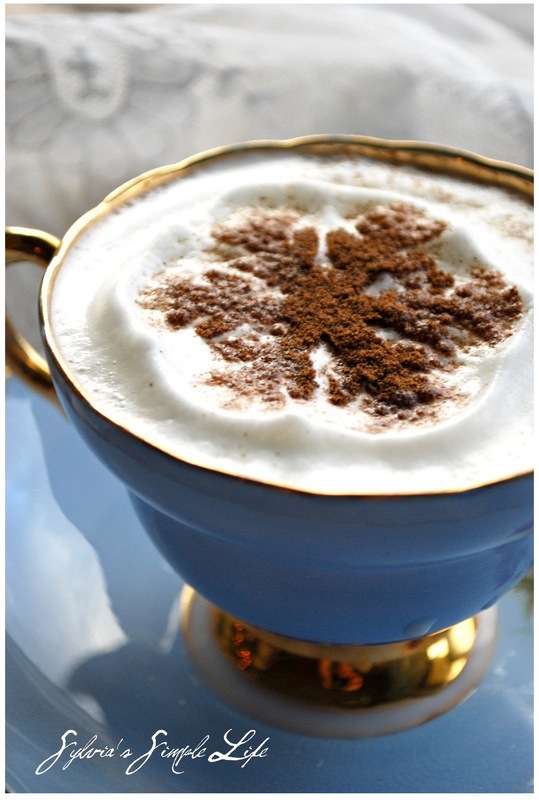 Strain the milk into 2 cups and serve dusted with a freshly nutmeg. I actually don't like nutmeg and sometimes I dust cocoa instead of it. 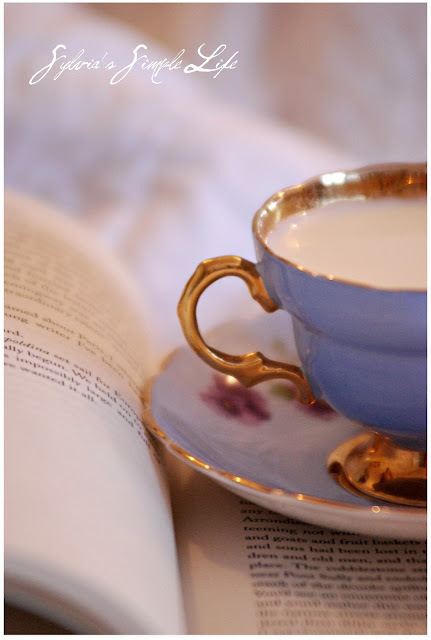 don't forget to use your beautiful fine bone china cup. 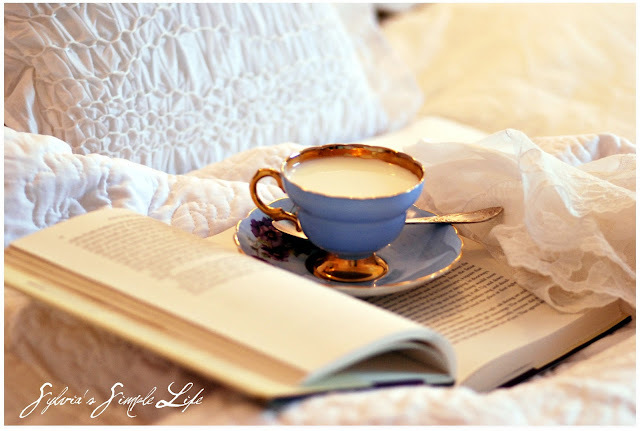 take delight in a simple pleasure. Food and drinks not only nourish the body, but provide nourishment for the soul. Thank you for taking the time to read and comment on my blog! I am here with my precious friend Anita, and what a post this is, beautiful Sylvia! 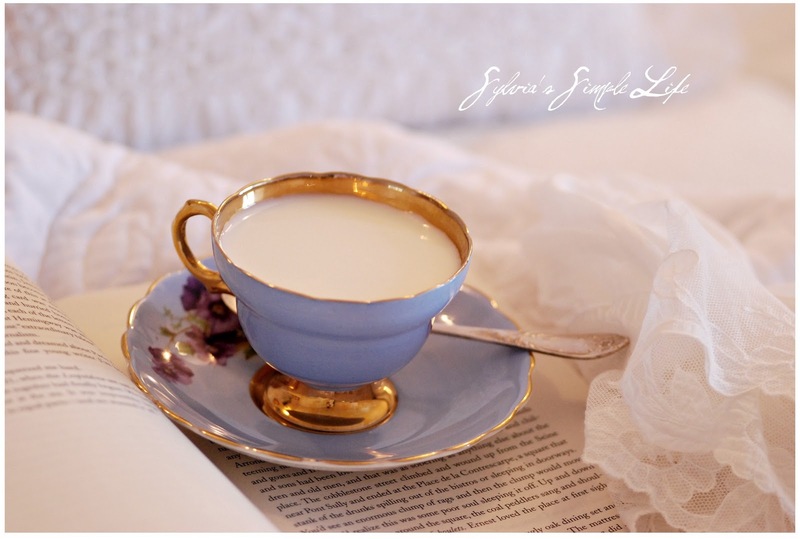 I can just taste that lavender milk..and the teacup, so gorgeous! Sylvia, dear, I cannot wait to see a book from you someday soon..your exquisite images and wisdom, you are amazing. Thank you for reminding us to slow down, savor, and really taste life..
Love and light to you dearest, and a beautiful weekend! This is very interesting, I have never really thought of it like that. 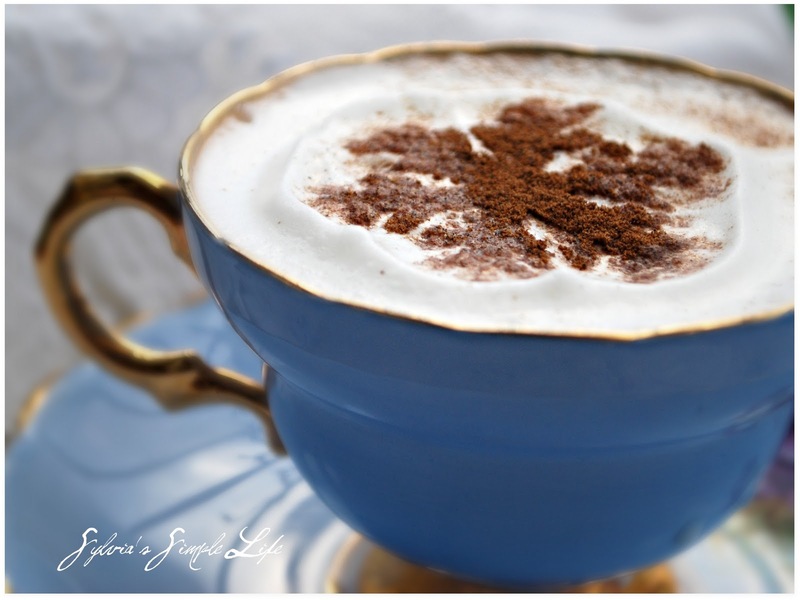 I do know that my first taste of the day is my favorite, Chai latte and always brings a sense of calm to me, so sweet and so delicious. As far as the last taste, I never really think of it, I eat something to fill my tummy but not my soul. I will have to stop and think about it tonight, maybe try this delicious milk. Very interesting food for thought. I have never thought about that! My first and last tastes! Love your post...and that teacup! I am with Madelief...earl grey all the way! Hugs to you and your photos are beautiful! This is a fantastic post! One I should abide by...but I hate to admit.I am eating Mint chocolate chip icecream right now....oops! What a lovely thought, the first and last taste of the day to be special! 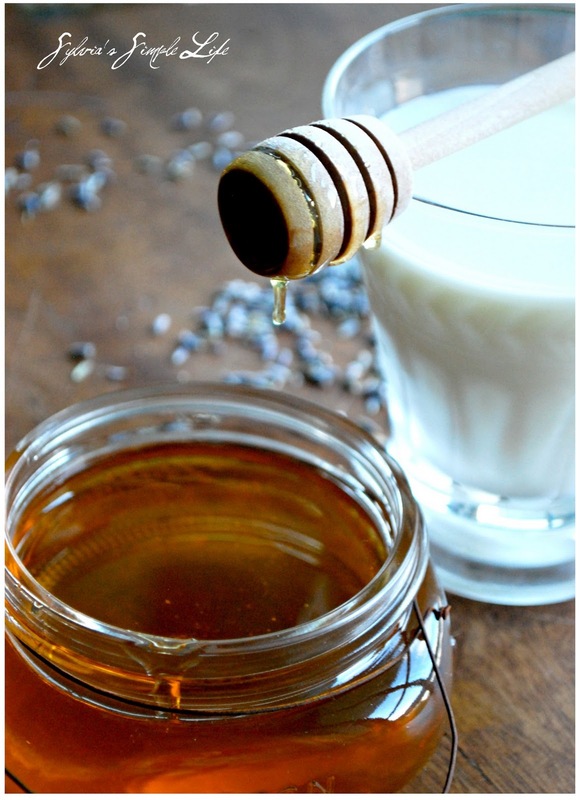 And I love the lavender milk recipe! I will do it once I have lavender flowers. What a beautiful post Sylvia ! 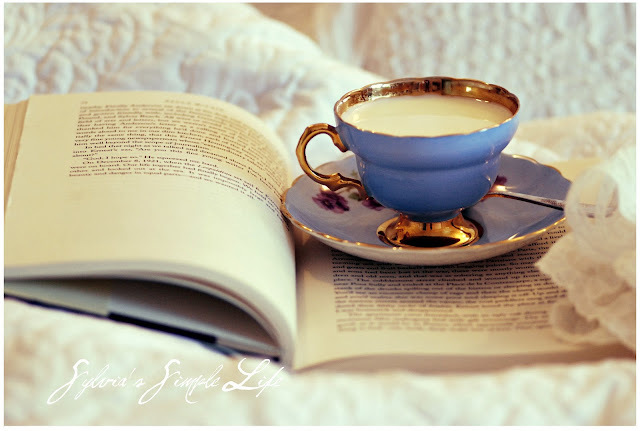 I will try your recipe for sleepy tea, it sounds very good ! Stay well my Friend ! Just read your comment. Your vintage tea party sounds lovely! I hope you will find your cups. Good Luck! Just coming by, dear Sea sister, to say hello, give a loving hug, and wish you a beautiful week!